As I may have mentioned previously, my son is 19 years old, and has been a fan of the Flamin' Groovies band since the age of 7. We didn't really intend to see them two nights in a row, but it providentially worked out that way. 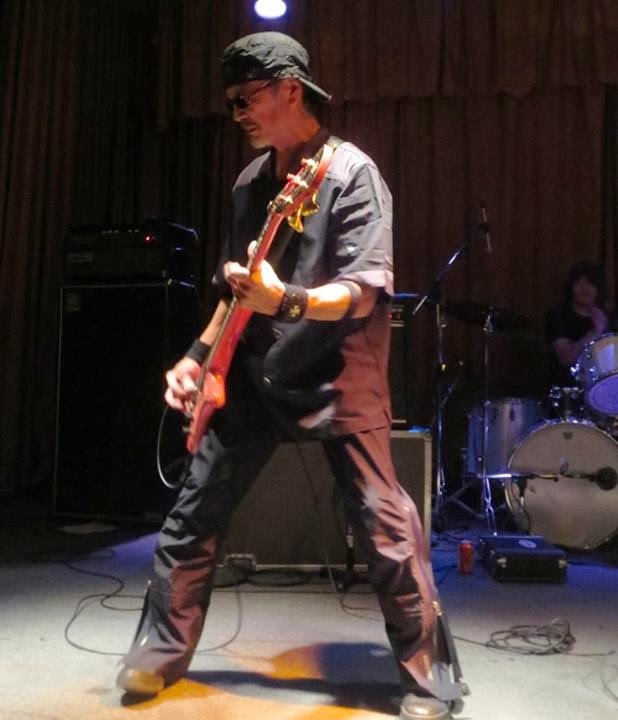 A facebook friend who had heard me and my band perform the FG's hit Shake Some Action, posted on my facebook "timeline" an article about their upcoming concert in Cleveland, Ohio. I immediately called the Beachland Ballroom to order tickets for my son and myself. 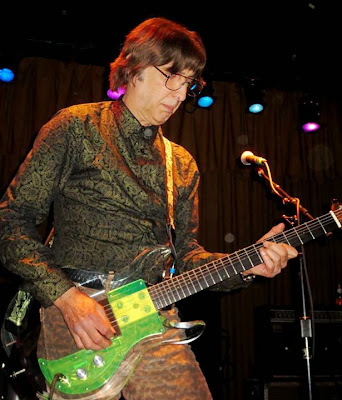 It was a few weeks later that we found out the Flamin' Groovies would also be playing a gig in Detroit, the evening before the Cleveland show. It seemed like a shame not to come out and support them in our own hometown, so we bought tickets to the Detroit show also. So, on the afternoon of Saturday, November 9, we got in the car and headed for Cleveland. Before the concert, we met a friend at Bearden's Restaurant, where I had my first ever "Peanutburger." It was yummy! After locating the Beachland, we were enthused to hear (for our first time) the sounds of a band called the New Salem Witch Hunters. We really, really liked them, especially the guitar playing of Tom Fallon, on his hollow-bodied Gretsch. Their songs were catchy, accessible, rich, and varied. 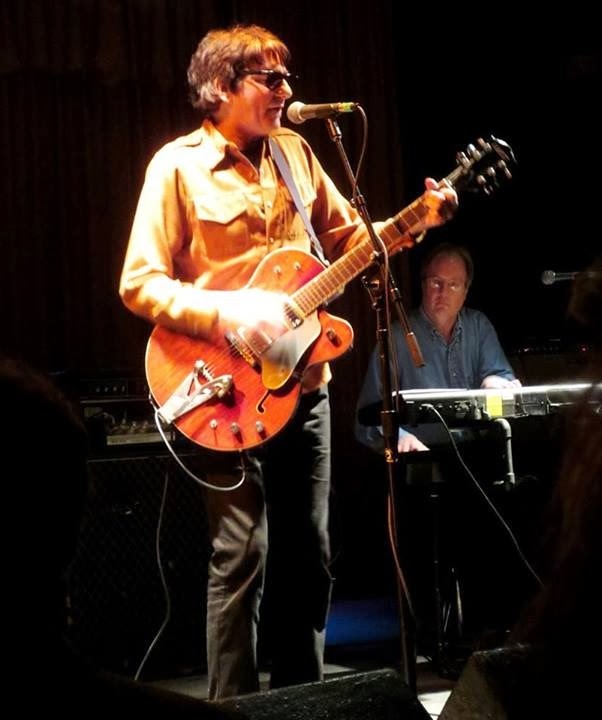 Then, it was time for the Flamin' Groovies to play. The were absolutely terrific, and the Beachland was a very fine venue at which to see and hear them. We got so close to the stage -- it was really a dream come true! At first, the set list closely resembled that from the Detroit show, but then it veered off and took on a life of its own. 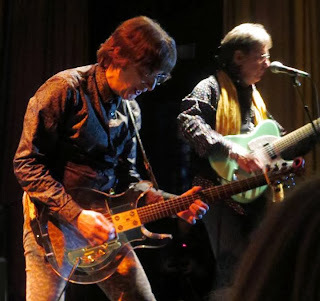 Every song was wonderful, and especially because of the intimacy of the club, I will say that it was worth every minute of the 37 years I had waited to see the Flamin' Groovies play! The band was very generous with their time, and did 3 or 4 encore songs; I was having so much fun that I lost track. But their last one was a very popular one, Teenage Head, which I think I'd first heard and loved back in 1977. That's the song in this video. Just before the song, you can hear Cyril Jordan say, "You guys are great. I wish I could stay and ... kiss every one of you." The tour is not over! If the Flamin' Groovies are coming to your city, you owe it to yourself to go and hear them! Tuesday, November 12 - Washington, D.C.